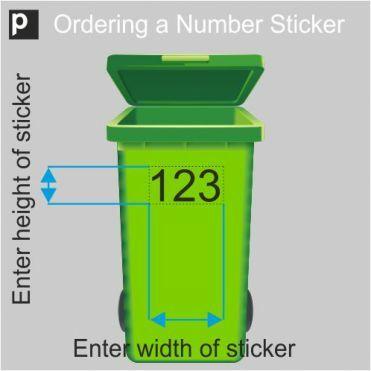 This house number sticker design consists of clear text within a coloured circle and outer circle, printed within a clear film or in cut vinyl. 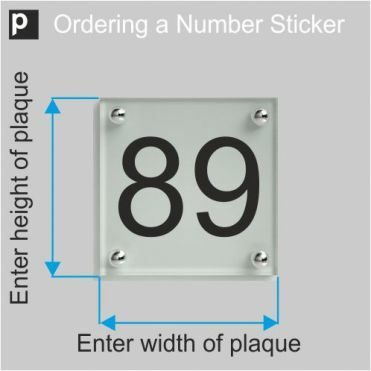 Ideal for house numbers on glass, and in the case of vinyl cut, for house numbers on glass, plastic, metal, or painted wood. Wide range of printed colours available, and vinyl film options (etch effect, metallic, coloured). 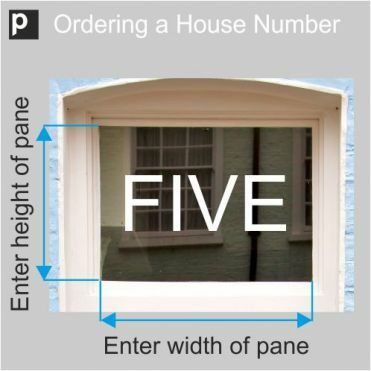 To order please enter the measurements of the pane or area you wish to cover in CENTIMETRES. Regarding materials, select the clear printed vinyl if you'd like your circle and text printed directly on a clear film that will cover the whole pane. This is very easy to apply. Select the cut vinyl option if you would prefer your circle and text to be cut out of a coloured or etch effect vinyl. There is an added cost for this option, and it is a little trickier to apply, but it looks fantastic. 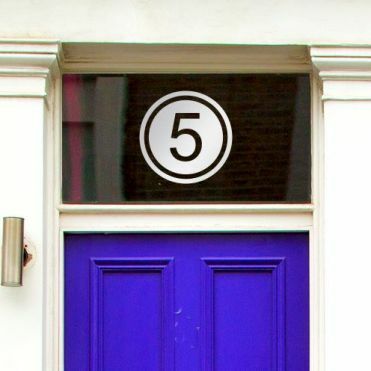 House number stickers are applied internally on glass, so your design will be printed or cut in reverse to be read correctly from the outside. If you have to apply the sticker externally on glass, or on another surface, please let us know in the extra requirements field and we'll make sure your design is not reversed.